It's been years since Abby O'Brien Winters set foot in Chesapeake Shores. The Maryland town her father built has too many sad memories and Abby too few spare moments, thanks to her demanding Wall Street career, the crumbling of her marriage and energetic daughters. 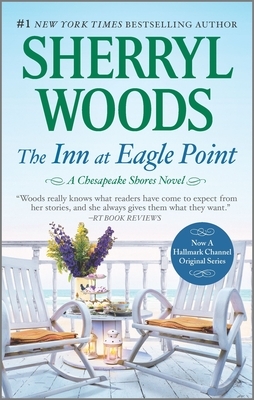 Then one panicked phone call from her youngest sister brings her racing back home to protect Jess's dream of renovating the charming Inn at Eagle Point. But saving the inn from foreclosure means dealing not only with her own fractured family, but also with Trace Riley, the man Abby left ten years ago. Trace can be a roadblock to her plansor proof that second chances happen in the most unexpected ways.